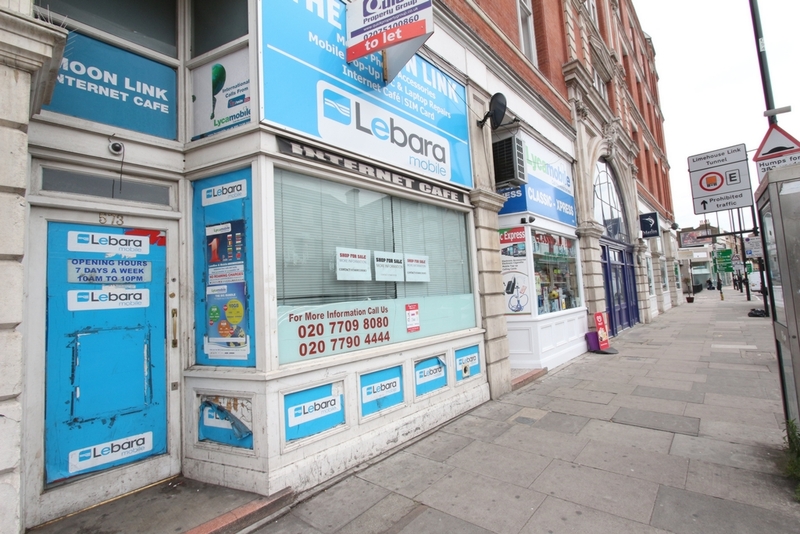 This shop is in a high footfall area on a busy main road which is Commercial Road located yards from Limehouse DLR. This shop was trading as an internet / PC repair centre and would be suitable for same trade or other A1 business purposes. There is a ground floor trading area approximately 300 sq ft and also a usable basement which is of similar size 300 sq ft, total square foot is 6oo. The basement can also be used as an office or storage area. The rent is £12700 pa. This shop is on a renewable open lease and has more than 8 years remaining. A premium of 30k is sought however reasonable offers will be accepted.